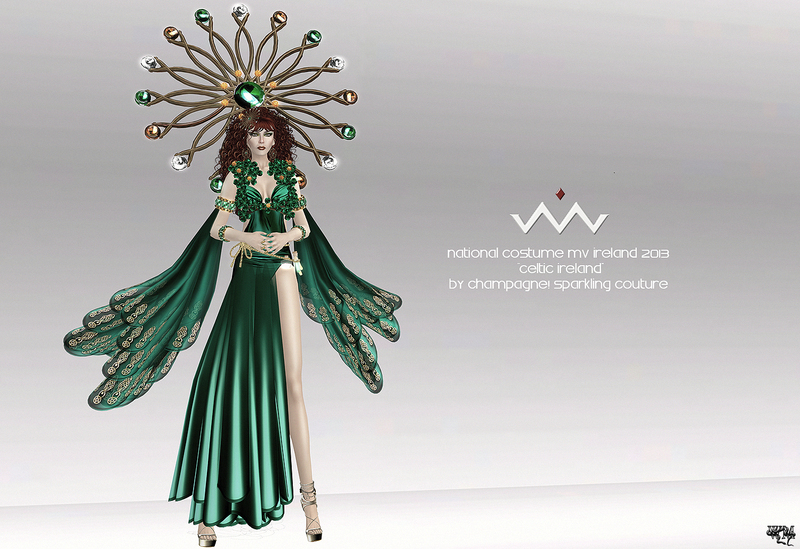 This entry was posted in Events & Contests, Fashion, New Releases and tagged 3D, 3D people, Art, avatar, beauty, beauty peagant, beauty pegant, Blog, Blogger, BOSL, Challenge, Champagne, chop zuey, Clothing, contest, Couture, Dress, Enzo Champagne, evening costume national gown, Evening Dress, Evening Gown, evening gown. 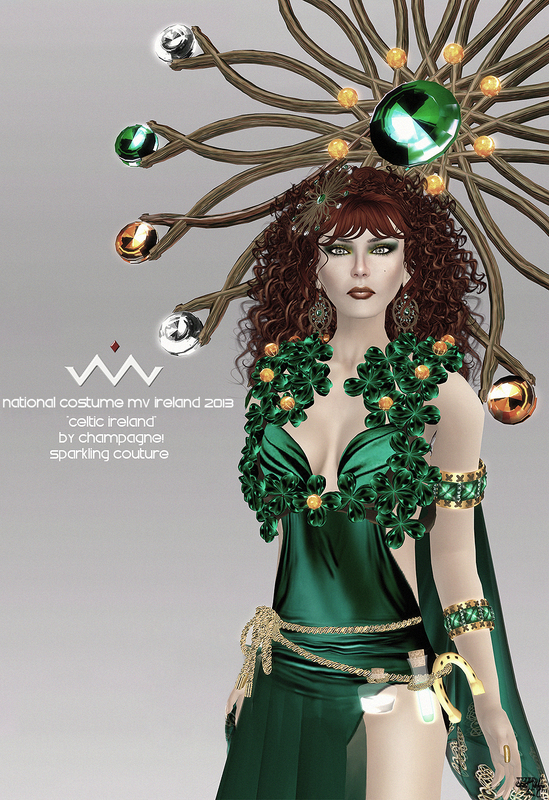 national costume, Fashion, Fashion in Pixels, fashion poses, Female Clothing, female wear, Formal, formal attire, Frolic Mills, Gown, green orange, Hair, High Fashion, ireland, irish, irish green, Jewelry, Malicia Python, meta virtual, Metaverse TV, Miss Ireland 2013, miss virtual ireland 2013, Miss Virtual World, miss virtual world 2013, Model, model pose, Model Poses, Modeling, Modeling pose, Modeling Poses, MVW, MVW 2013, National Costume, National Dress, national gown, New, New Release, New Releases, News, photographer, Pose, Second Life, Secondlife, sessie16, SL, SL Clothing, SL Fashion, SL Style, Sparkling Couture, Style, Virtual World, Wicca Merlin, woman. Bookmark the permalink.